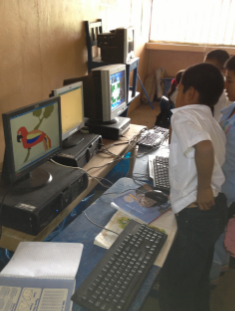 I spent sometime at the school today, arriving in time to visit the primary students and also the Jr. Hi kids who are enrolled in the computer program. 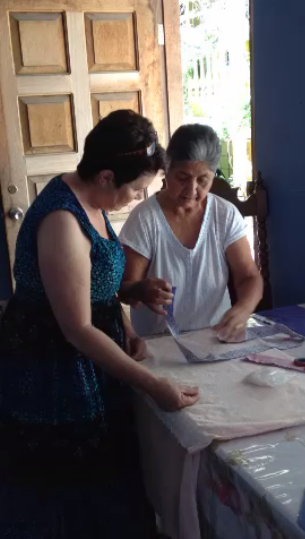 make a good product for the women of Casita Copan to start a cottage industry. 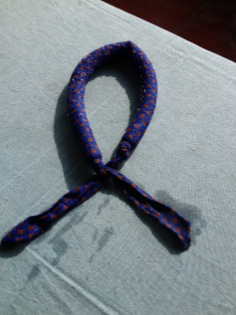 The finished product… a neck cooler! peace). I feel like it was a good days work! Tonight I met with a Canadian couple here working with CUSO……around my age. 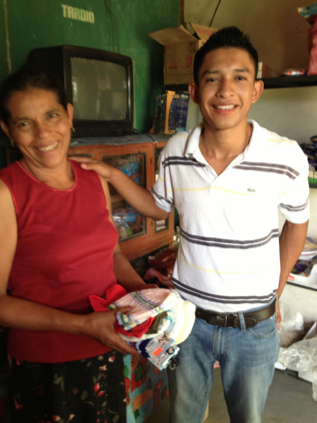 Carlos received a loan from us for his mother to start a little store in their home. This young man seems to beat all odds. He completed 12th grade, he got a job in a restaurant, he borrowed money for his mom to start a small store out of their home……and he has repaid 2500 of the 7500 Lps that he owes. 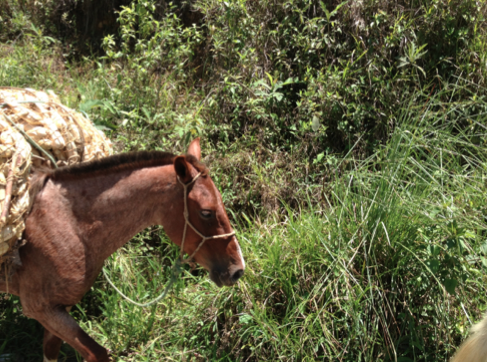 For rural Honduras that is beating all the odds which are against him. 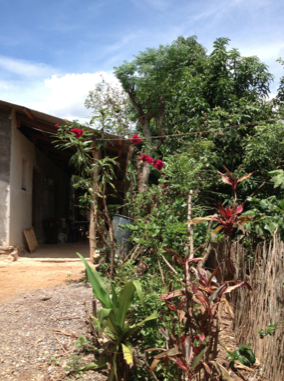 Their home in La Estanzuela. They grow Most of their food: the trees are dripping with avocados And mangos. They cultivate Maize and beans. They have chickens and pigs. it was so tranquil and beautiful! I was treated to a lunch of chicken soup, tortillas and of course Coca Cola. This time to San Antonio Miramar and San Jose Miramar. Thank you to Saul Carrera from Plan International who vetted the requests for the books and wrote the proposal on behalf of the communities requesting them. There are almost no free reading books in the schools. 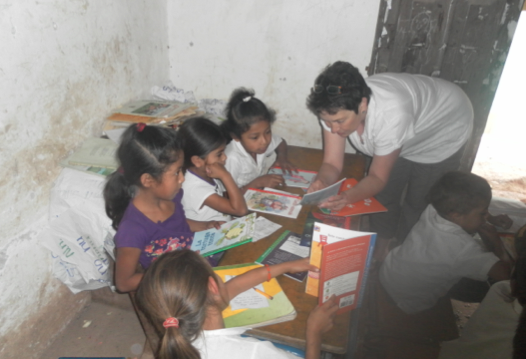 There are no book stores that I can find in Honduras. None! So, the concept of being able to choose a book just to read is foreign to these kids. They seemed puzzled. The teacher had to explain to them that they would have a half hour every day to read a book of their choice. 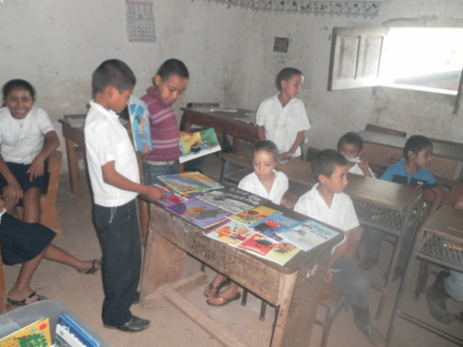 The teachers, students, and administrator for the schools in this area would like to express their thanks to the people who supplied the funds to buy the books through A Better World. 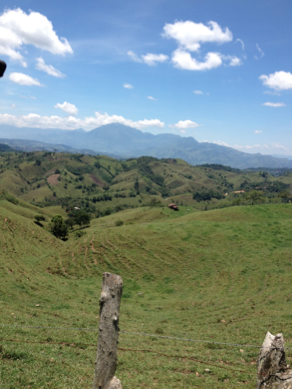 The hills around Copan are magnificent……..lush and abundant. It’s hard to believe that in a country that appears so rich in natural resources, there is so much poverty and hunger. 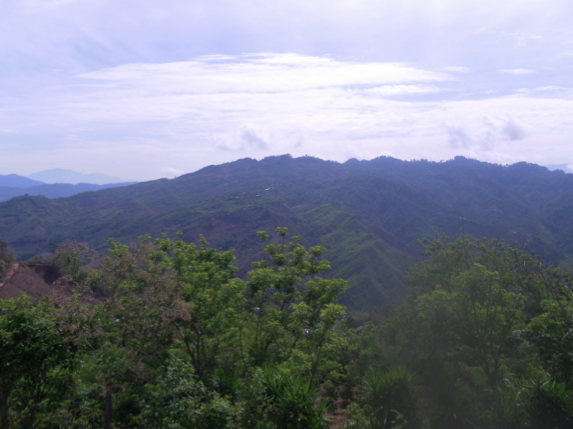 is being destroyed by slash and burn or just how dark green the coffee plants area. 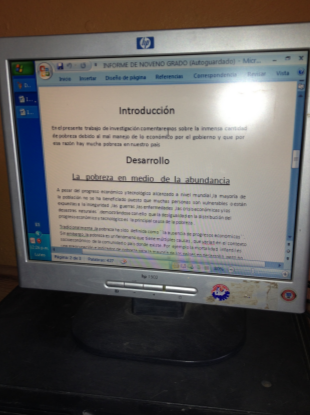 You are currently browsing the Carol in Honduras blog archives for June, 2013. Copyright © 2019 Carol in Honduras. All Rights Reserved. No computers were harmed in the 0.044 seconds it took to produce this page. Designed/Developed by Lloyd Armbrust & hot, fresh, coffee.